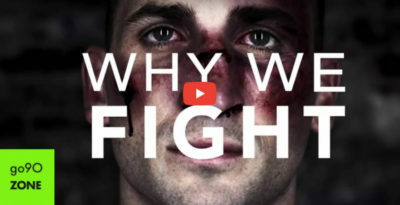 “Why We Fight” is a new documentary series co-created and executively produced by Matt Ogens and premieres on go90 starting Oct 18, 2017. Also executively produced by Ronda Rousey. KID YAMAKA - VICE :60 (Music Version) from MATT OGENS on Vimeo. In this deeply human story, Emmy-nominated director Matt Ogens profiles up-and-coming boxer Zachary “Kid Yamaka” Wohlman and explores Wohlman’s troubled background in Los Angeles, his training under world-class coach Freddie Roach, and his path to personal redemption through boxing, Judaism, and sobriety. Patrick Schwarzenegger, Sophie Kennedy Clark and Jacob Lofland are embarking on a post-apocalyptic journey in the first photos from new indie film North, which recently began principal photography in Detroit. Director Matt Ogens is helming the film, which follows Lofland and Clark’s characters as they venture into the unknown in the wake of cataclysmic events to find family and a hope for the future. Check out the Ford “This World” Anthem spot I directed via Team Detroit and Tool of North America. Bikinis, pools, ridiculous stunts and ice cold Coors Light: What else could you ask for? In collaboration with Cavalry Agency Chicago, we took over the pool on a hot Miami day to deliver the world’s most refreshing summer with cold Coors Light. My new campaign for Toyota consisted of a variety of ads and short films. This spot was shot in the Toyota Corolla plant in Blue Springs, Mississippi. I directed two short films for Stand Up 2 Cancer, which was broadcast on every network on Sept 7, 2012. The show was executive produced by Gwyneth Paltrow and Joel Gallen and raised over $80 million towards cancer research. Directed episodes on hip-hop artist Wale for the web series “Becoming” produced by Electric City Entertainment. Watch the episodes on Wale and other celebrities on YouTube.